Subscribe to Big Island Blog and you'll know as soon as we've posted something new. It's easy to subscribe. Just look for the "Subscribe To This Site" box at the bottom of any page. The 2018 eruption of Kilauea Volcano has dramatically altered the landscape on the east side of the Big Island. On June 2, lava evaporated 300 year-old Green Lake. Kapoho Village was largely destroyed and is now uninhabited. Kapoho Tide Pools and Ahalanui Beach Park were buried as lava continued to flow toward the ocean, eventually extending the coastline. Hawaii Volcanoes National Park has been closed since May, 2018 due to heavy earthquake activity and the uncertainty of further seismic activity. Despite these dramatic changes, the vast majority of Hawai'i Island remains unaffected. There are countless treasures to be enjoyed on this island paradise. 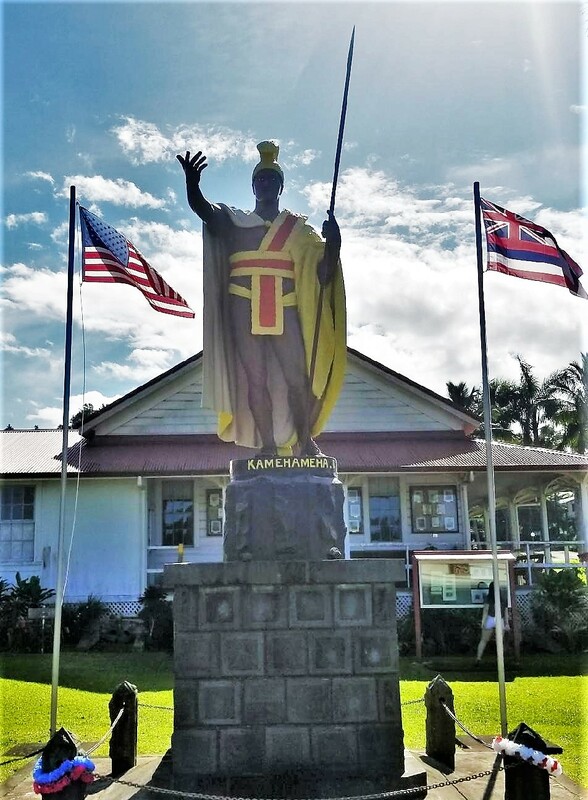 King Kamehameha I, or Kamehameha the Great, unified all the islands into the Kingdom of Hawaii. This is the original statue honoring his legacy. Forged in Italy in 1880, it was originally commissioned for display in Honolulu. When the ship carrying the statue sank near Cape Horn, the statue was thought lost forever. A replacement was made and erected in Honolulu. Somehow the original statue was recovered by some Falkland Islanders. The restored original is on display here in Kapa'au, fittingly near Kamehameha's birthplace in north Kohala. 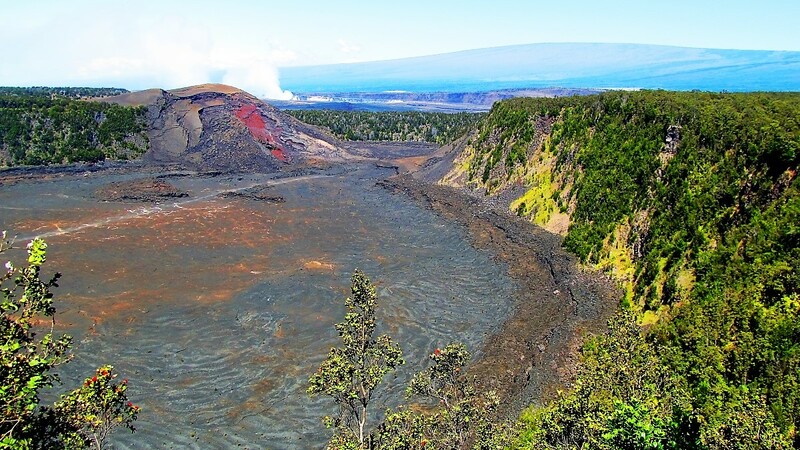 Kilauea Iki is one of the best hikes in Hawaii Volcanoes National Park. The scene is so utterly still and peaceful, it belies the ferocity of what was happening here less than 60 years ago, an immense lava lake with violent waves of molten lava crashing on the shoreline. Mauna Loa Volcano and smoke from Kilauea's Halema'uma'u Crater are visible in the background. Continue reading "Kilauea Iki (Little Kilauea)"
Kiholo Bay is one of the most beautiful spots in all Hawaii. The water color really pops against the dark black lava shoreline, particularly when the sky is clear. 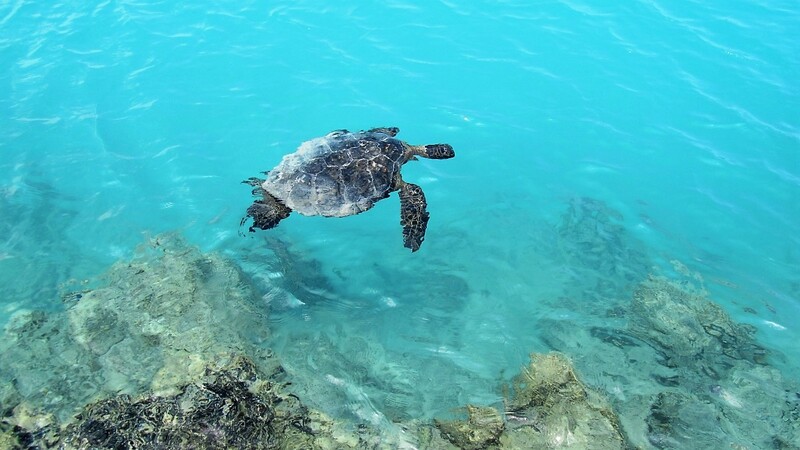 A large population of Honu (green sea turtles) reside in the shallow waters of Kiholo Bay. If you haven't been here yet, try make a point of it during your next visit to the island! Continue reading "Kiholo Bay Honu"
If you get an early start and head to Kekahakai State Park as soon as the gate opens at 9am, the reward can be a scene like this one, having Mahai'ula Beach all to yourself. There's lots of shade in the morning, and the water is typically calm before the winds pick up later in the day. 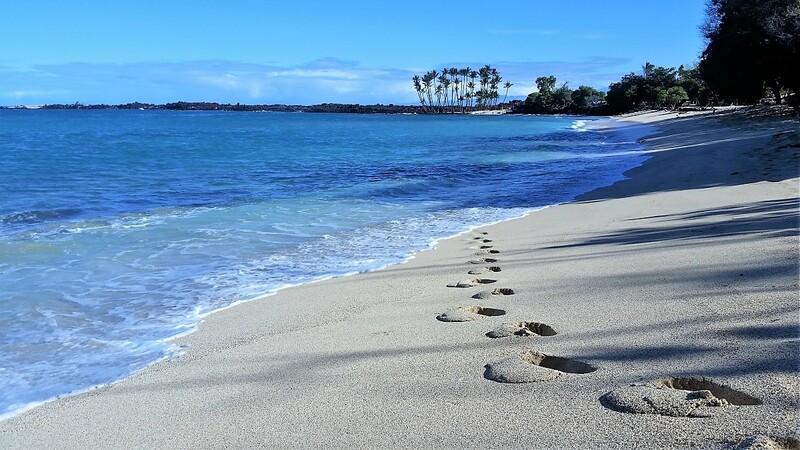 Continue reading "Fresh Tracks on Mahai'ula Beach"
Private Hawaii adventure tours. 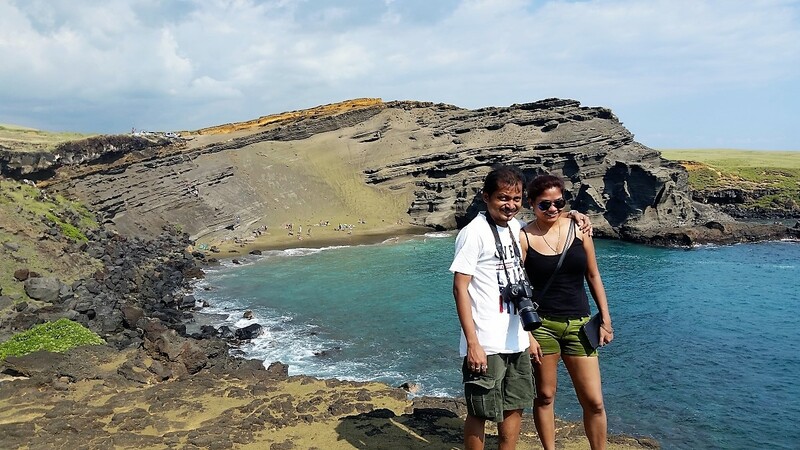 Always private, we’ll design an exclusive Big Island tour for your family or friends to experience the best of Hawaii. 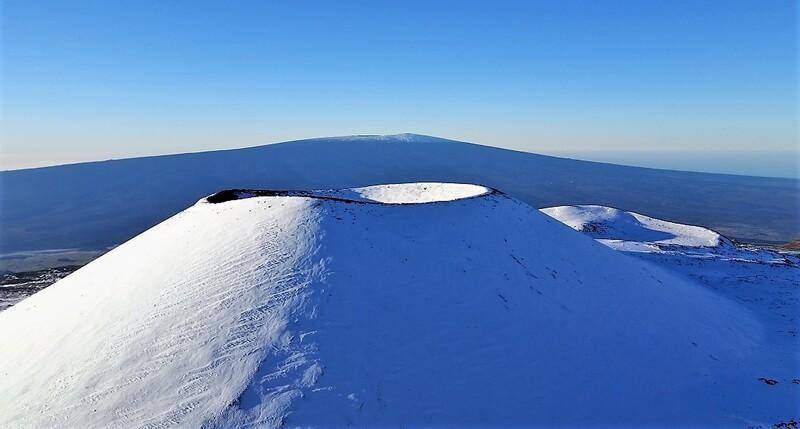 Continue reading "Private Hawaii Adventure Tours from Kona and Hilo"
Storms in early December brought heavy snow to the upper reaches of Mauna Kea and Mauna Loa volcanoes, creating a beautiful winter wonderland scene. This image was taken just after sunrise below the summit of Mauna Kea, looking south toward snow-covered Mauna Loa. 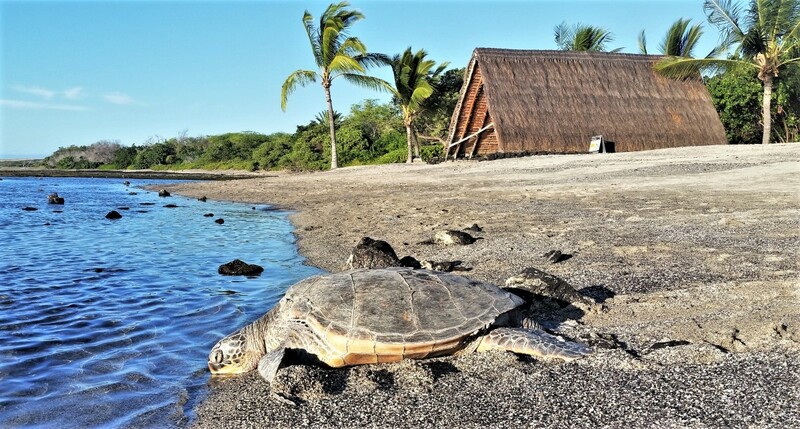 Honu (green sea turtles) are frequent visitors to Aiopi'o Beach in Kaloko-Honokohau National Historical Park. This is one of our favorite spots on the Big Island to enjoy these peaceful creatures. They like to feed on the abundant algae in the fishpond before climbing ashore to rest. Continue reading "Peaceful Aiopi'o Beach Honu"
Lake Waiau is one of the highest lakes in the US, near the top of the world’s tallest volcano. Its origins high on Mauna Kea Volcano are a mystery. 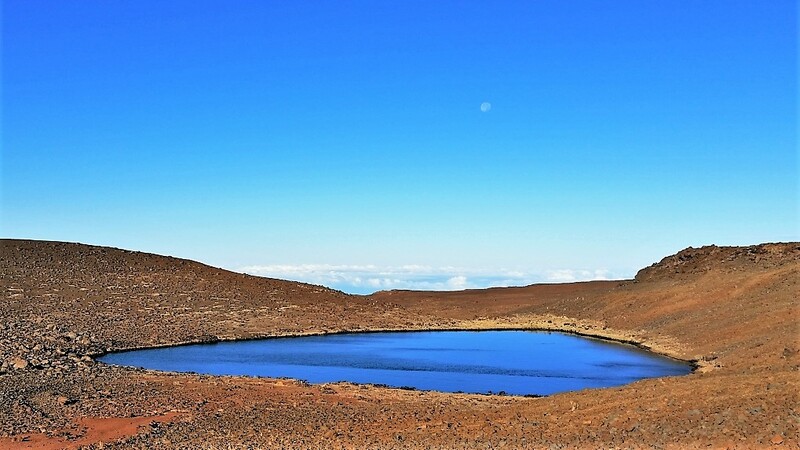 Continue reading "Lake Waiau on Mauna Kea Volcano"
Needle ice is formed when the soil temperature is above freezing and the surface air temperature is below freezing. Sub-surface water rises above the soil and needle-like columns of ice push through the soil. 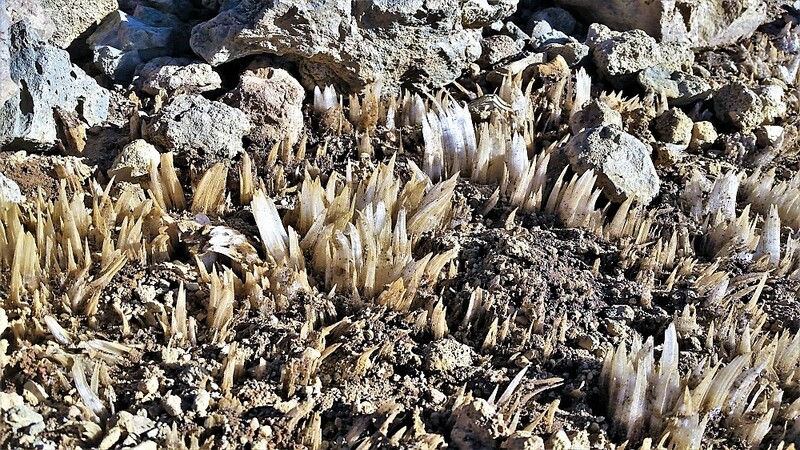 If you are hiking in sub-freezing temperatures high on Mauna Kea or Mauna Loa, you may hear the familiar crunch of "needle ice" breaking underfoot. 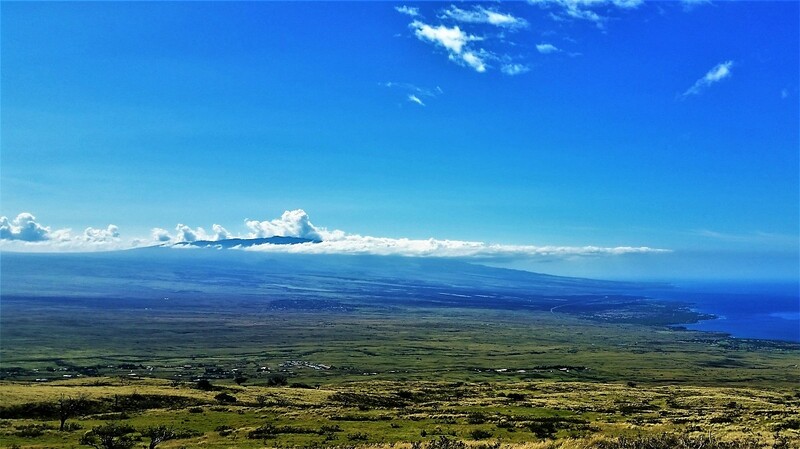 This image of Hualalai Volcano was taken from high on the slopes of Kohala. Looking south one can see the outskirts of the town of Waimea in the foreground. The bustling town of Kailua-Kona is built on top of old lava flows around the west slope and base of Hualalai. It's been more than 200 years since Hualalai last erupted. Gateway to the Hamakua Coast, the sleepy town of Honoka'a was once a thriving sugar plantation community. 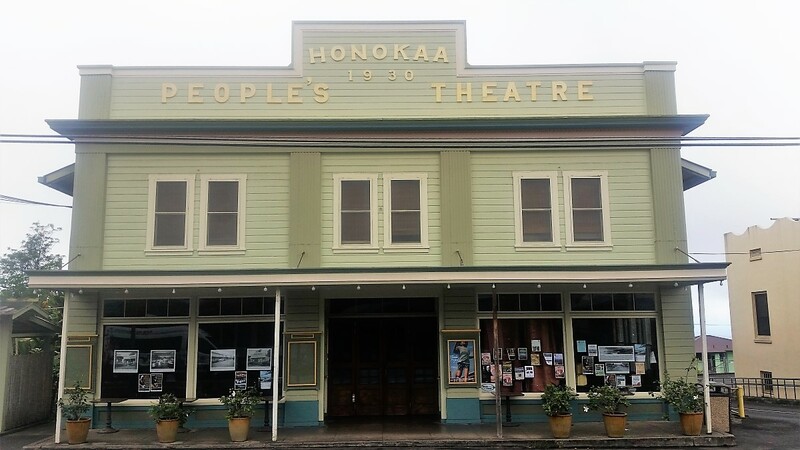 Built in 1930, the historic 525-seat Honoka'a People's Theatre still brings major headliners. In January, 2018 Judy Collins will perform, and in February Dave Mason comes to town. Heavy rain brought flooding to many areas along the north and east coast of the Big Island during the past couple of days. 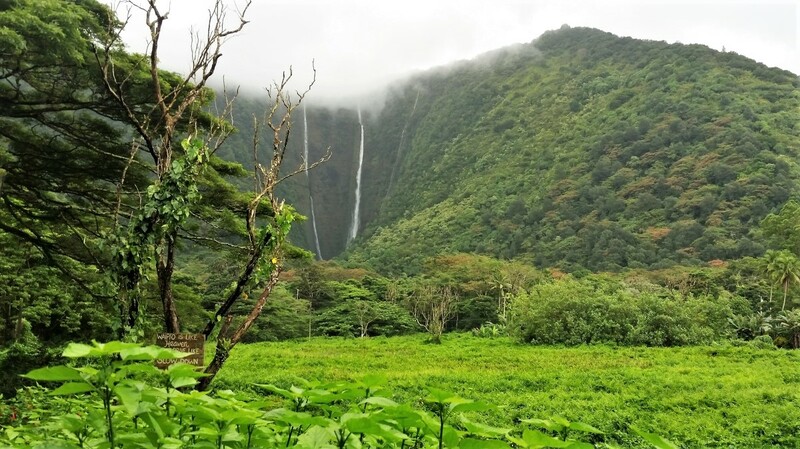 In Waipi'o Valley, Hi'ilawe Falls thunders into the valley from the upper slopes of Kohala. The swollen Waipi'o River left much of the beach inaccessible. 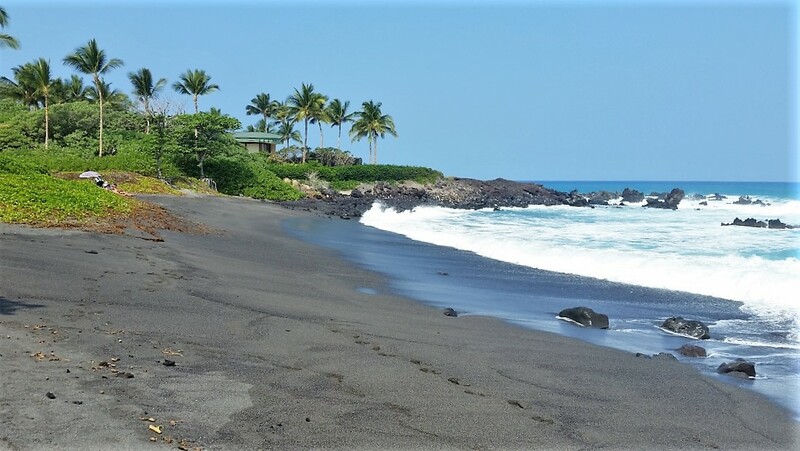 49 Black Sand Beach at Honoka'ope Bay is quiet and scenic, one of the only black sand beaches on the Big Island's Kona coast. Continue reading "Honoka'ope Bay and 49 Black Sand Beach"
In ancient Hawaii, solar evaporation was a convenient method of procuring sea salt from ocean waves that washed up on the shore, settling in lava rock salt-pans. 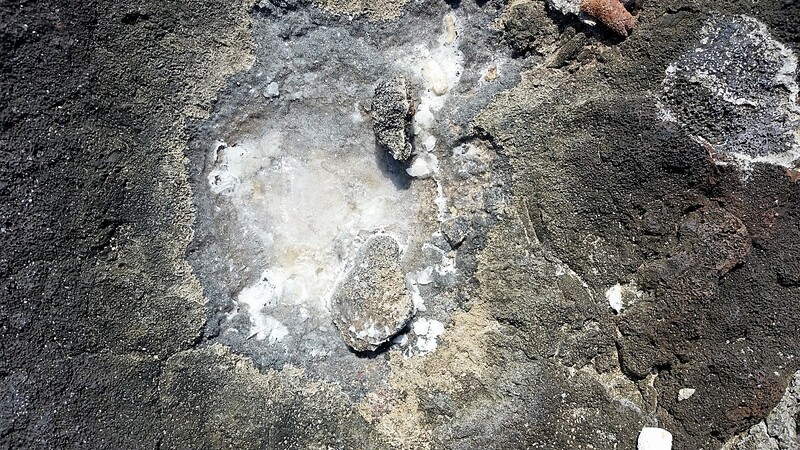 As you walk along the coast of the Big Island, keep an eye out for recesses in the rocks that might have made good natural salt pans. Continue reading "Making Salt in Ancient Hawaii"
The Red-masked Parakeet has an emerald-green body, red mask and long tail feathers. 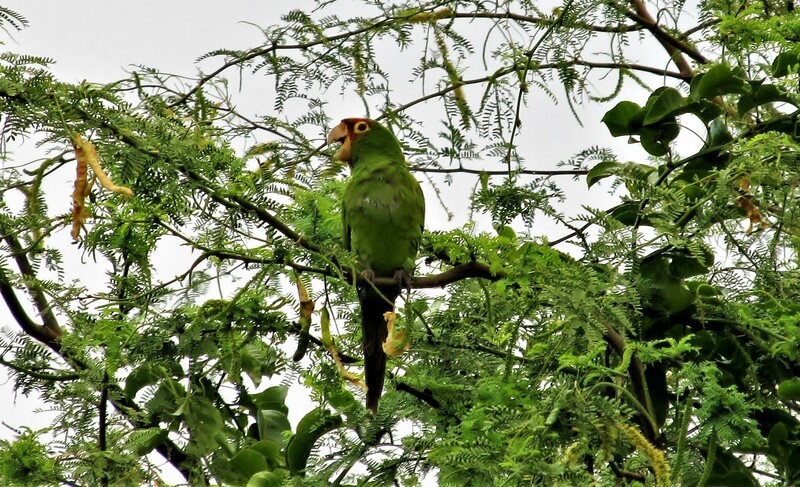 Native to coastal areas of Ecuador and Peru, this parrot is often seen flying through the trees near Kailua-Kona. It isn't exactly clear how they came to reside on the Big Island. This particular one was squawking in the kiawe tree outside our home in Kailua. Commonly confused with the Canada Goose, Nene is the official Hawaii State Bird. 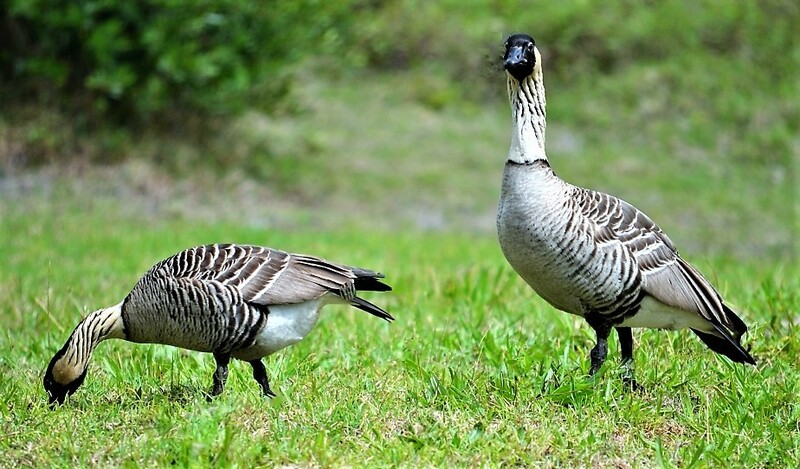 Because they do not migrate, Nene is found nowhere else on earth (endemic to Hawaii), making it the world's rarest goose. Approximately 500 Nene live on the Big Island, so consider yourself fortunate if you happen to spot one of these shy birds! Continue reading "Nene, Hawaii State Bird and World's Rarest Goose"
Hawaii student travel, teen adventure tours and Big Island summer camp. 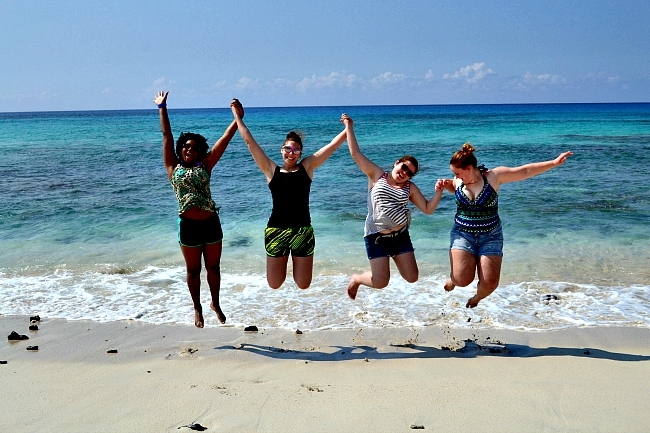 Fun and educational Big Island adventures for middle and high school students. 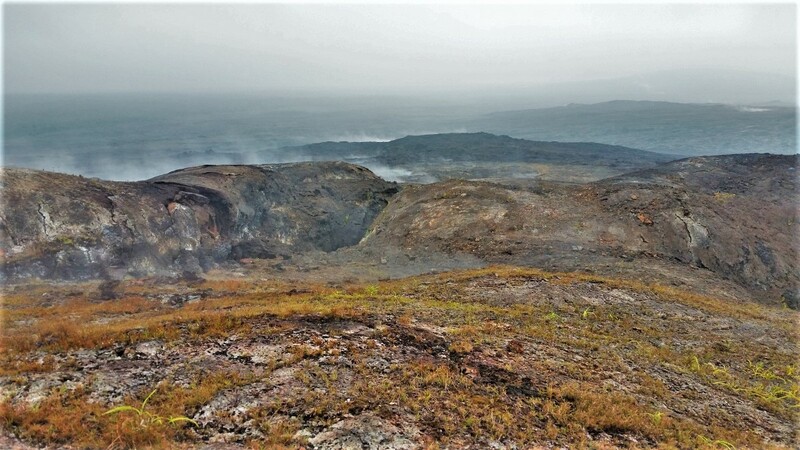 Continue reading "Hawaii Student Travel and Teen Adventure Tours"
Hike to Mauna Ulu in Hawaii Volcanoes National Park for an up close look at the aftermath of one of Kilauea Volcano’s longest rift zone eruptions. 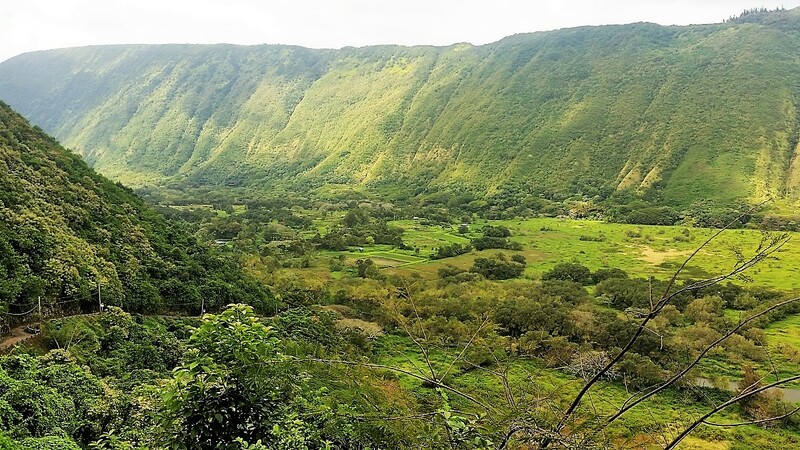 Continue reading "Mauna Ulu - Hiking the Big Island"
A handful of small taro farms and various livestock help sustain the few locals still residing in Waipi'o Valley. Once the home of Hawaiian royalty, the area flourished with thousands of residents prior to the 1946 tsunami that devastated the area. Continue reading "At Home in Waipi'o Valley"
Looking for something else? Search here for even more Hawaii attractions and exciting things to do on the Big Island.